Rather than going to a fly-by-night used car dealership, why not rely on the resources and reputation of a dealership like Middletown Honda? We have an extensive inventory of pre-owned Honda cars, trucks, and vans that have been rigorously inspected for quality and maintenance. That provides powerful peace of mind. 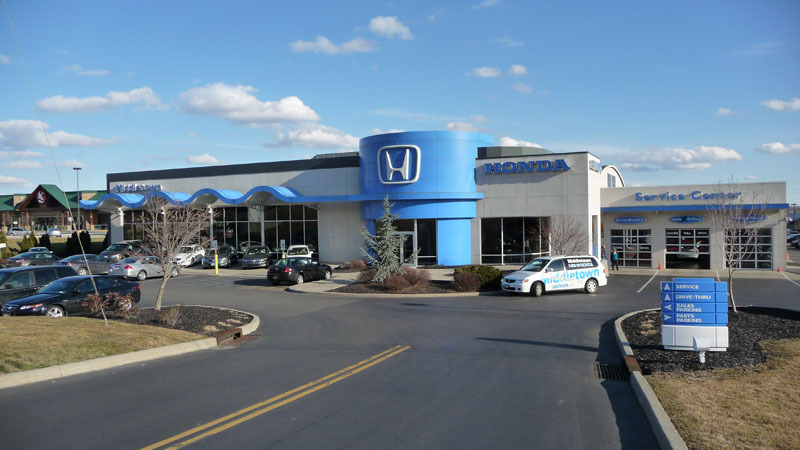 If you are located in Mechanicstown and are looking for used Honda cars Monroe, we are less than two miles away. We are constantly innovating the vehicle buying experience in order to enhance customer satisfaction. Here are just a few of the ways that we are doing things better. If you are thinking of buying a used vehicle, spend some time on our website. We have our entire inventory of pre-owned vehicles listed there, and we have made it easy for you to search for the vehicle you want. Using our advanced search features, you can enter the specifications that are most important to you and find vehicles that have them all. Each listing includes multiple pictures, a vehicle history report, and other details that you will want to know. You can find out if we have your dream car in a matter of seconds. Honda is committed to every customer, regardless of whether they are driving a new or used vehicle. That is why they have developed the Honda certified pre-owned program. In order to be certified, a pre-owned Honda must pass a comprehensive, top to bottom inspection that can accurately asses the quality and condition of the vehicle. By looking for vehicles that are certified, car-buyers can shop exclusively for the best pre-owned vehicles available. That saves a lot of time, stress, and guess work. At Middletown Honda, we understand that many people are looking for value when they are in the market for a used vehicle. That is why we have helpfully designed a special section of our website that is focused exclusively on vehicles that cost less than $10,000. These are quality cars, but they have been priced to fit into any budget. If you are in the market for a third family vehicle, or a car for a new driver, consult our website to find the best prices. We have a number of satisfied customers who made the short trip from Mechanicstown to find used Honda cars Monroe. If you would like to learn more about our current inventory, or our pressure-free sales process, contact our dealership today.